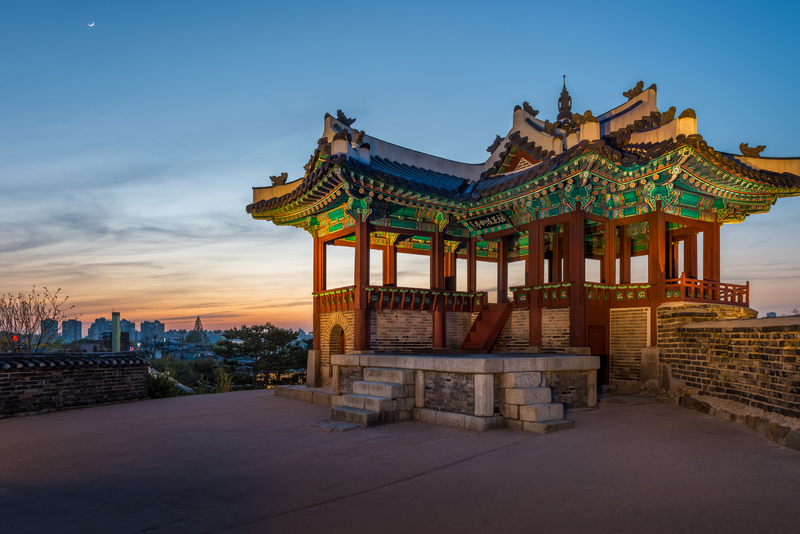 Korea has 10 sites that are designated by UNESCO as World Heritage, and we will take you to the three of UNESCO registered place called Hwaseong Fortress in Suwon, Changdeok Palace and Jongmyo Royal Shrine in Seoul. This full-day tour is full of beauty and history. 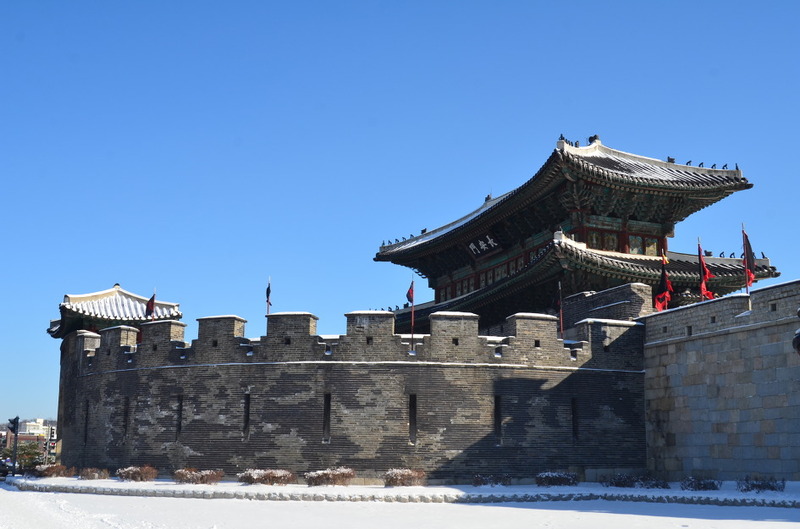 The Hwaseong Fortress in Suwon is a fortress city built in the late Joseon Dynasty (1392-1910). 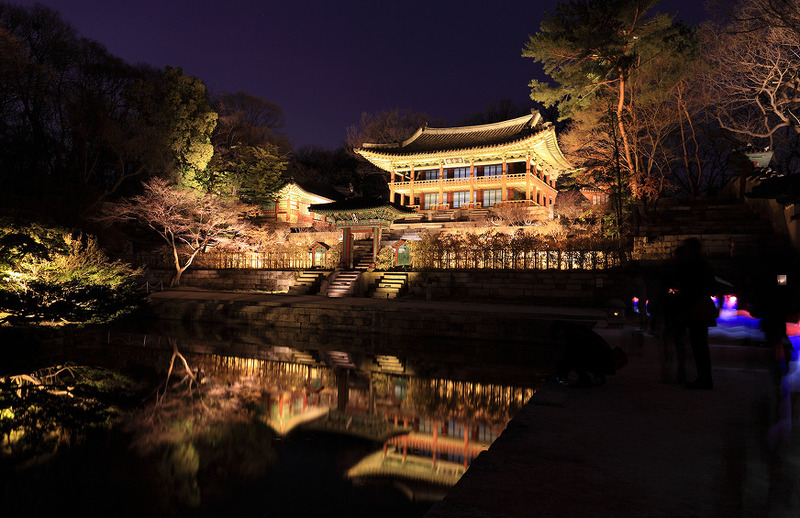 Along with Changdeokgung Palace, the fortress was designated as a UNESCO World Cultural Heritage in December 1997. The total perimeter of the fortress spans 5.52 kilometers, with 50 or so structures along the walls. Among those, seven were destroyed as a result of wars or natural disasters, but the remaining ones are well preserved. Some of the major structures are the south gate Paldalmun (Treasure no. 402), the west gate Hwaseomun (Treasure no. 403), the north gate Janganmun, and the east gate Changnyongmun. Between these gates are gongsimdon, sentry towers built to keep an eye on enemy’s activities outside the walls. Suwon Stream flows through the interior of Hwaseong Fortress. The Hwahongmun Gate is built above seven arched aqueducts that allow the water to flow through. 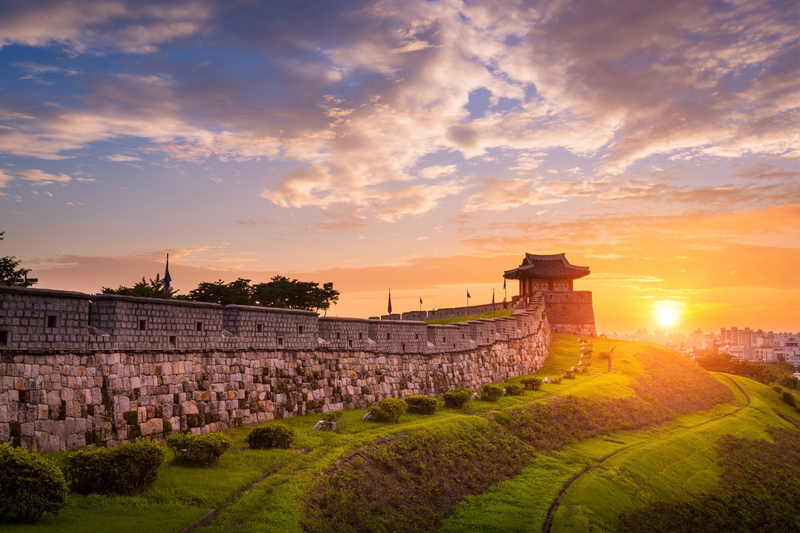 Together with nearby Banghwasuryujeong Pavilion and Yongyeon Pond, Hwahongmun Gate is considered the most beautiful of the Hwaseong Fortress structures. With that in mind, we started our tour at Paldalmun Gate, near HwaseongHaenggung. At a leisurely pace, it takes about two hours to see the sights from Paldalmun, Seojangdae, Hwaseomun, Janganmun, and Hwahongmun. 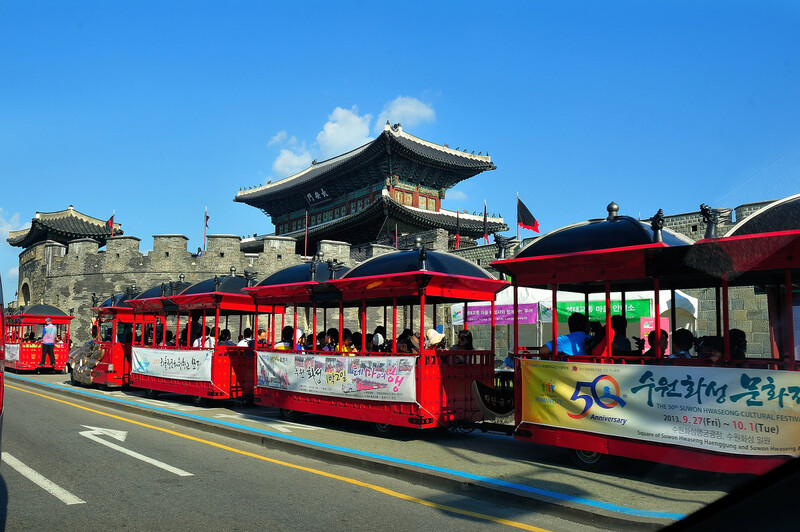 Hwaseong train is a tourist train which is operated between Paldalsan Mountain and Yeonmudae. The head of train is made as sculpted dragon which symbols King Jungjo’s energetic feature, and chairs are embodied King’s palanquin. Total distance is 3.2 kilometers and it takes about 30 minutes. 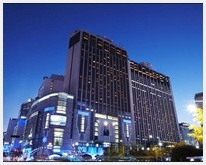 Short, but it is enough to feel the charm of Hwaseong. Hwaseong Temporary Palace is the biggest temporary palace in Korea and also well-known as beautiful as Gyongbokgung Palace. 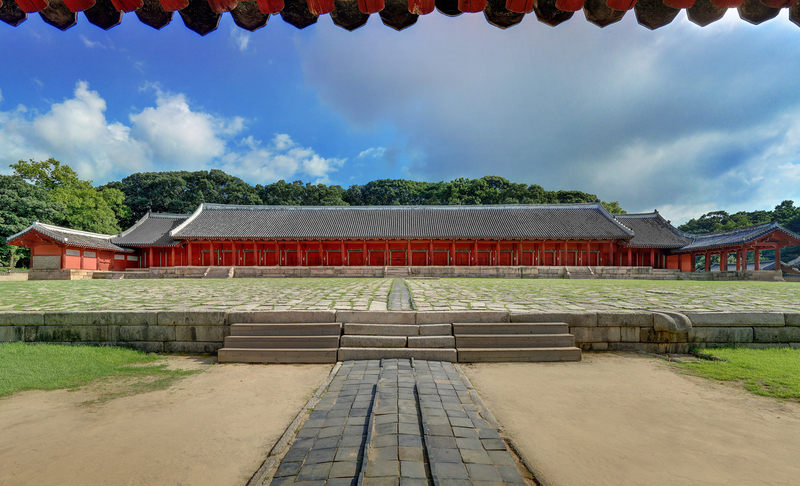 The 478th historical site Hwaseong Temporary Palace was built on the foot of Padalsan Mt. 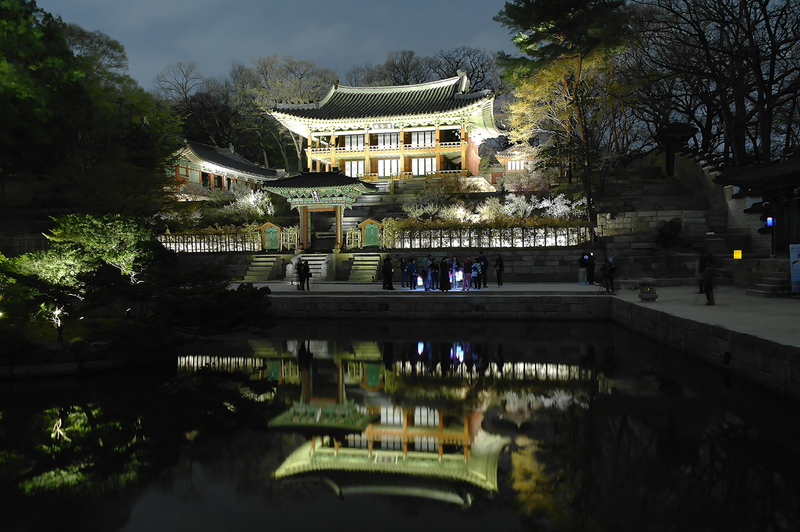 after building Suwon Sineupchi was finished in 1789(the year 13 of the reign of King Jungjo). 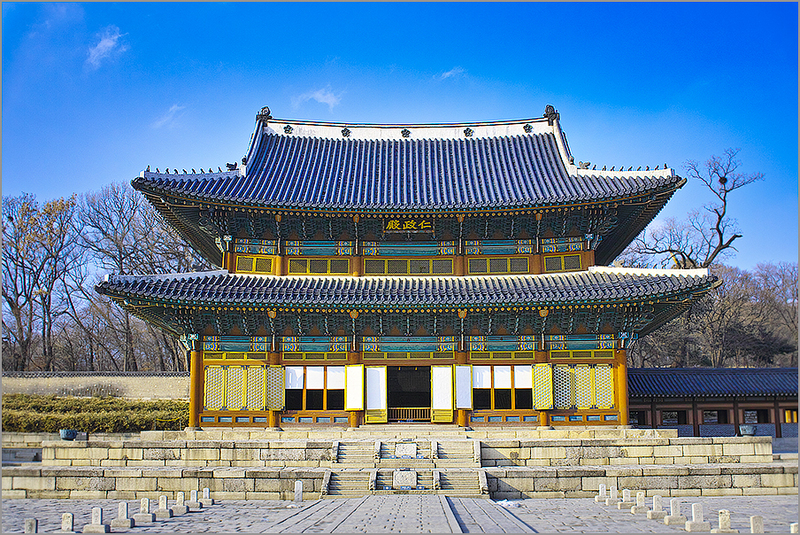 It was used as a government office of Suwon and completed through expanded construction for 2 years during the construction of Hwaseong. King Jungjo who was very loyal enough to visit Yungneung Shrine(a mausoleum of the crown king who was the father of Jungjo) 13 times stayed in Hwaseong Temporary Palace during visit. 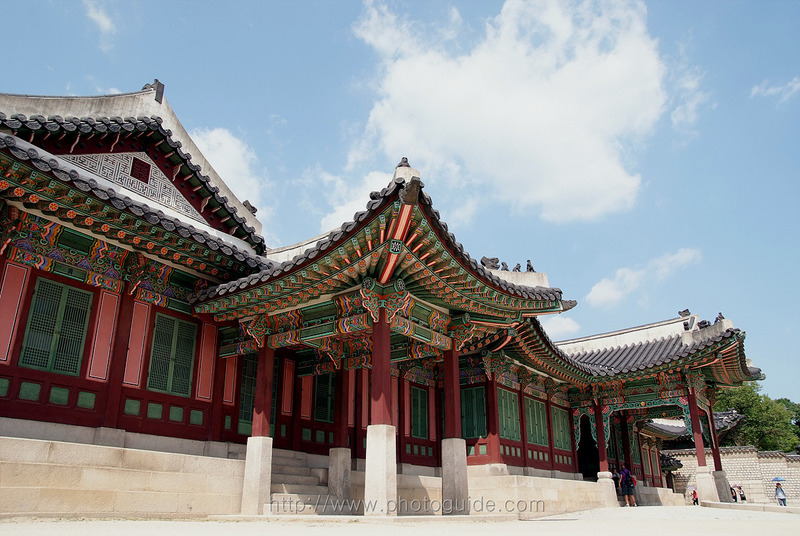 The palace has a shape of King’s palace with 567 rooms and it is the biggest size among temporary palaces in Korea. But most facilities except Nangnamheon Hall were deconstructed by the policy to obliterate the Korean culture and history of nation during Japanese colonial era. And thanks for local residents who organized the restoration project committee and lead the drive to revival of the palace, it reopened to the public in October 2003 after the restoration since 1996. 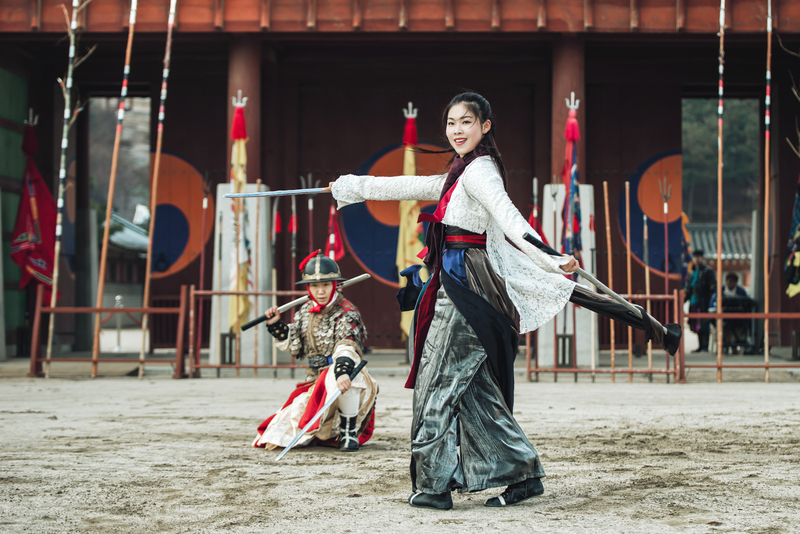 Hwaseong Temporary Palace is became the famous shooting set for Korean historical dramas in these days, provides demonstration performance of Muye 24ki, change ceremony of gate guards, court robes and traditional crafts experience. 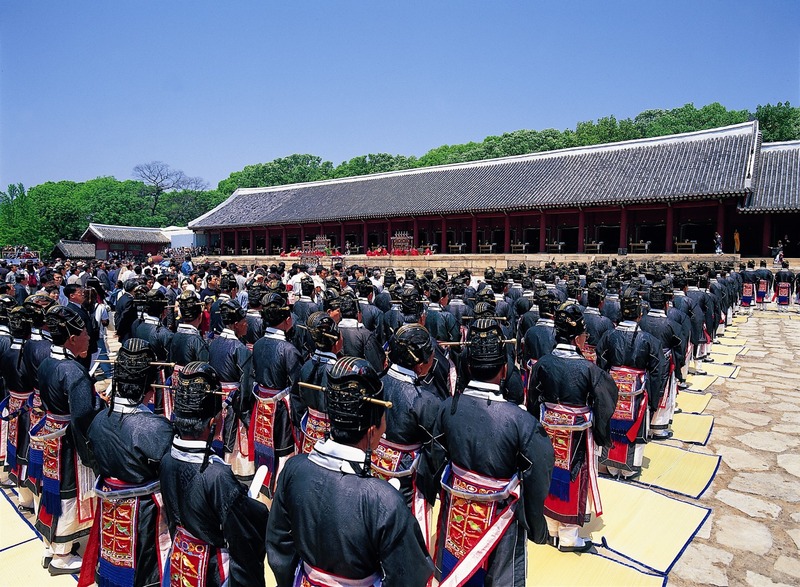 Jongmyo is a royal shrine dedicated to the performance of ancestral rites for the deceased kings and queens of the Joseon Dynasty. 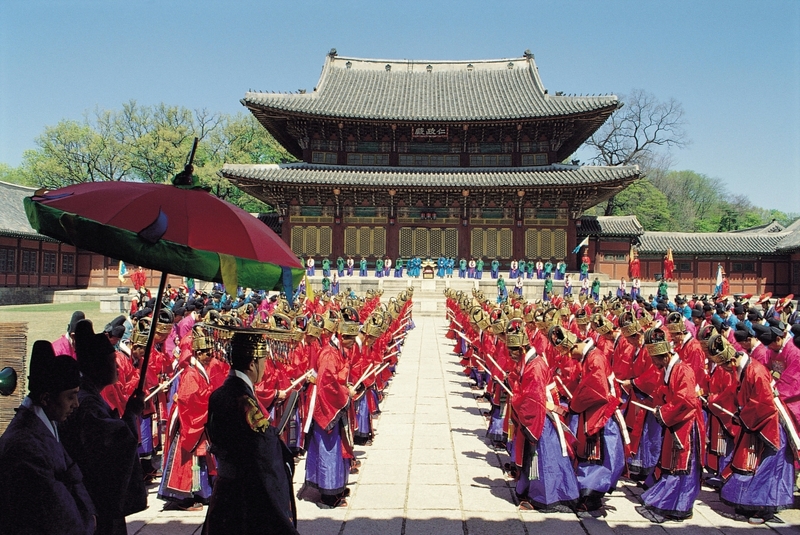 Being the place where the royal ancestral tablets are enshrined, Jongmyo’s atmosphere is solemn and sacred rather than splendid like the royal palaces. The simple and elegant buildings of this shrine have faithfully kept their original forms since the 16th century. 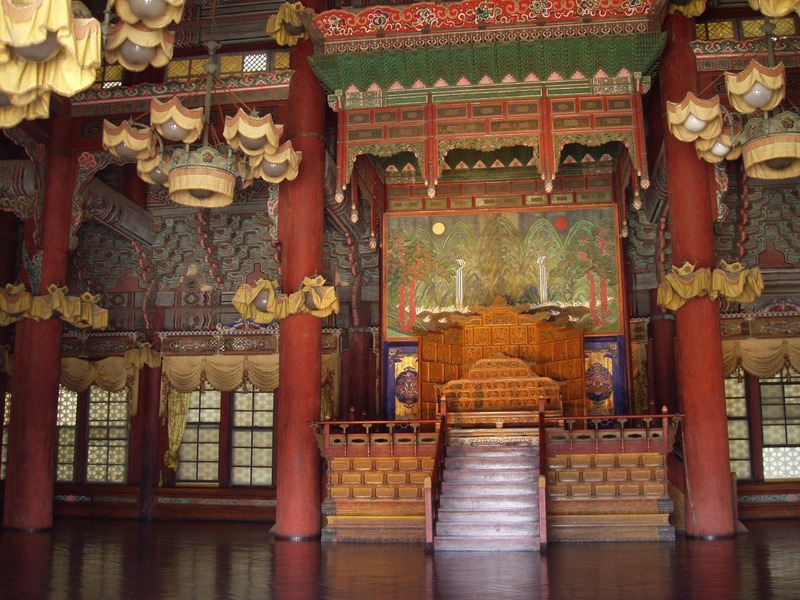 Jongmyo’s main hall, Jeongjeon is where the royal ancestral rites are performed. 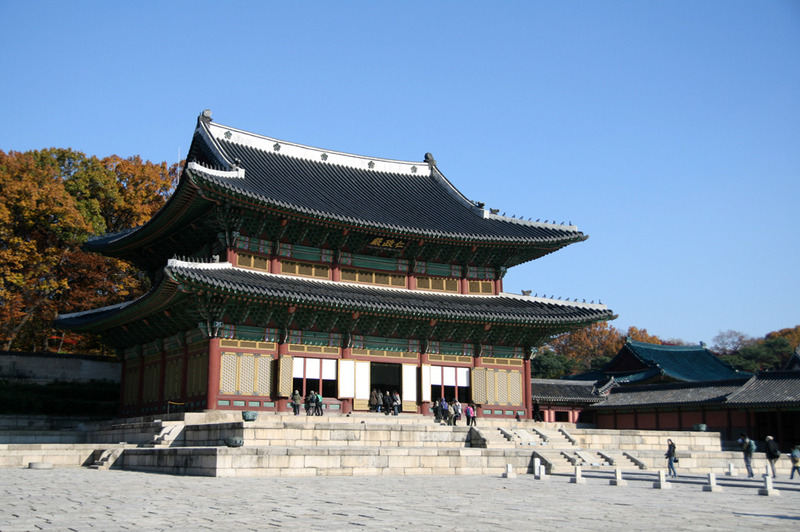 The main hall is an outstanding example of traditional Korean architecture. Jongmyo was designated as a UNESCO World Cultural Heritage site together with JongmyoJerye and JongmyoJeryeak. 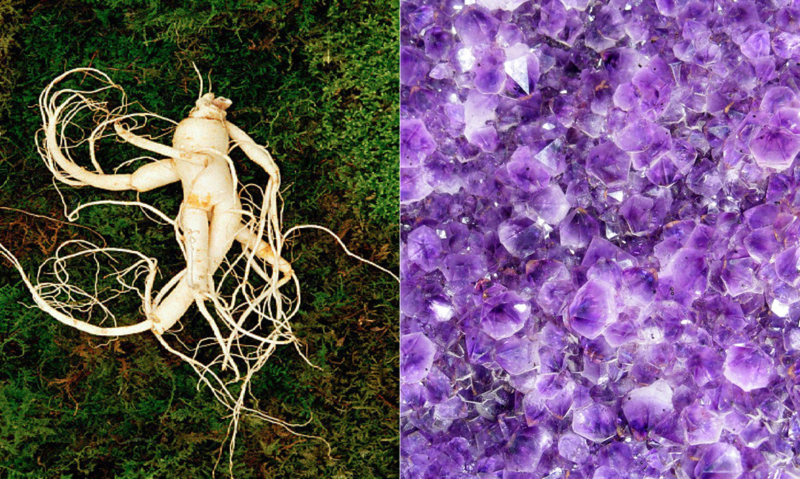 JongmyoJerye is the royal ancestral ritual and has been performed for 600 years. The court music performed during the ritual is the JongmyoJeryeak. JongmyoJeongjeon (Hall), a place steeped in royal history Jongmyo is made up of Jeongjeon (the main hall), Yeongnyeongjeon (the hall of eternal peace), and auxiliary buildings such as Jeonsacheong, Eosuksil, Hyangdaecheong and Sindang. 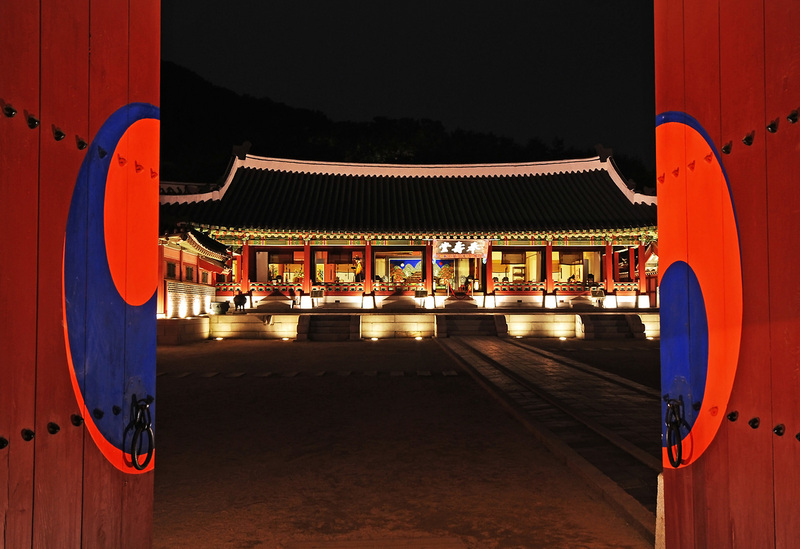 Jeongjeon, the main hall of Jongmyo, is a place steeped in royal history and is highly esteemed for its outstanding architecture. It is said to be the world’s longest single wooden structure and its length measures 109 meters. The reason for the building’s great length is that new chambers were added to the ends as necessary in order to hold more memorial tablets. 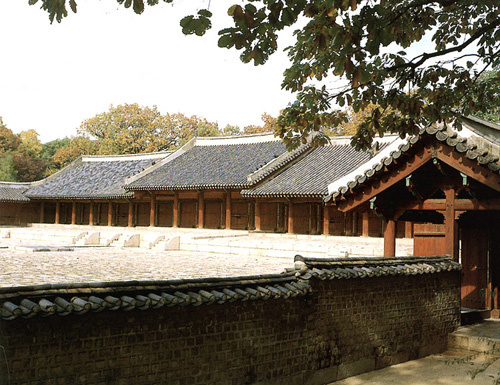 Unlike other Korean buildings, Jeongjeon has a gabled roof rather than the traditional eaves. This gives the architecture of the main hall a beautiful and uniquely solemn aspect. I want to thank you for an excellent day tour you provided to us today. I would give a 5 star rating for all the service. Taylor Son the Senior tour guide was always looking out for everyone of us and making sure we were enjoying every minute of the tour. She was very knowledgeable with every Historic place we visited. She made us feel like home with her charisma and sweet personality.Thank you to you and your team for a wonderful day in Seoul...Much love from myself and my daughter.